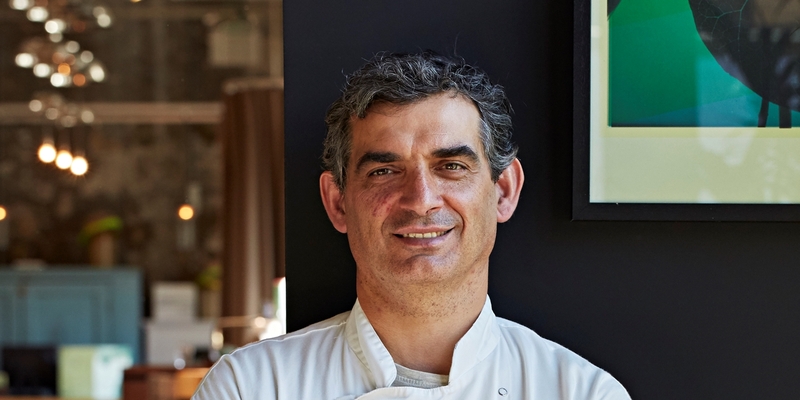 A true icon of London’s culinary scene for thirty-five years, chef Bruno Loubet is saying goodbye to the UK and heading off for the sunny shores of Australia. We take a retrospective look at his pioneering career in the capital. Whilst the likes of France, Italy and Spain all have their own very distinct culinary characters, Britain is rather a different beast when it comes to gastronomy. This island is a melting pot; an amalgamation of cultures, and people from all over the world have left their mark on our food scene. It’s quite fitting in that sense that one of Britain’s most influential chefs ever is a Frenchman. Few if any have left quite such an indelible signature on British food as Bruno Loubet. Look around the restaurant scene today and you’ll see that seasonal British food is the new trend, with restaurateurs around the country adapting their menus to give meat and vegetables equal billing. That, arguably, all started with Bruno. When he opened Grain Store in 2013, he turned the tables on conventional cuisine, bringing vegetables to the fore, and making vegetarian and vegan food accessible to a new generation of restaurant-goers. With Grain Store now sold, and Bruno moving to the rather sunnier climes of Queensland to realise his love for agriculture and food, we thought it only fitting to pay homage to the great chef with a retrospective of his career in London. Adieu, Bruno, et bon chance!